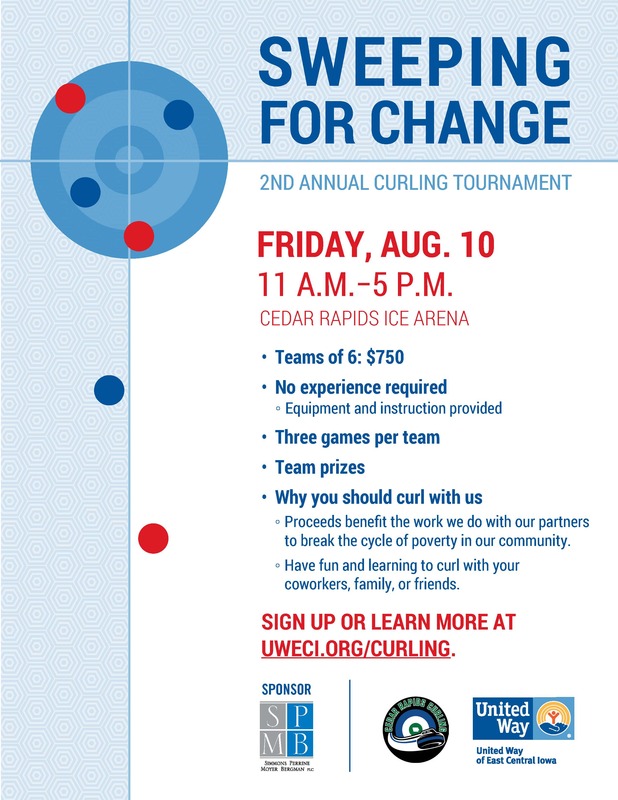 UWECI is partnering with Cedar Rapids Curling for the 2nd Annual Sweeping for Change. It is a fundraiser with proceeds going to UWECI. People do not need to have curling experience. If they can walk on ice, they can do this. There will be a clinic one hour before the competition starts. Questions? Contact Destiny Hastings, 319-398-5372 ext.811 or destiny.hastings@uweci.org.